Most every weekend on San Francisco Bay, if you look hard enough you will find a 27’ sloop dancing about with a logo of a little frog, sitting human like and whistling. A content amphibian. 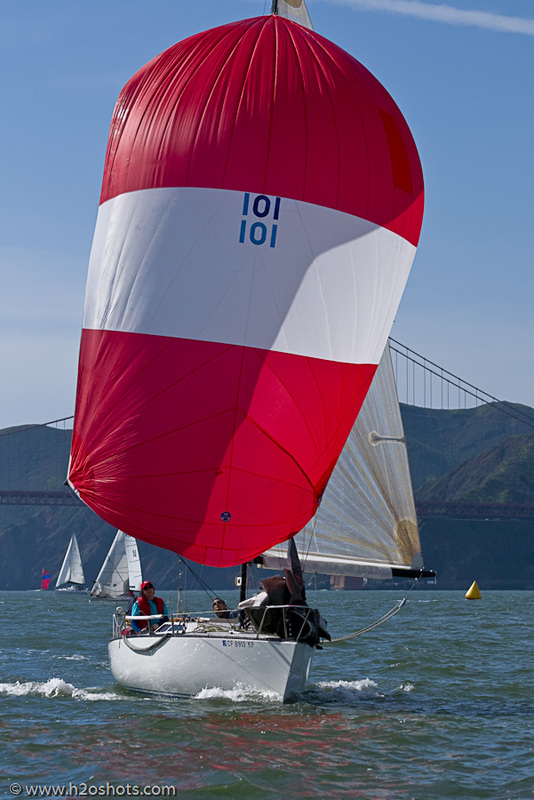 The boat, an Express 27, competes in near every regatta it can since it owner purchased her in 2006. She’s done trips down the California Coast, and made it all the way to Hawaii in the 2008 Pacific Cup. Her name is Elise, the boat, not the owner and she’s most content when in the water vs sitting on her trailer at the St Francis Yacht Club. The little amphibian rarely makes trips to the podium, but she’s content. She's happy just to be there, in the mix…as Kieth Richards has said, " Its good to be anywhere"
In late 2006, a few months after surviving a whale-induced shipwreck in the middle of the Pacific, Natalie Criou received a call nobody wants to hear and one that would change her life forever. Her OB/GYN had found a tumor, a hideous little Alien had perched itself in Elise’s owner abdomen and suited up for battle. What the Alien did not realize, it had picked the wrong battlefield, as this host was a fighter, a determined fighter. Growing up in on the Med side of France, Natalie Criou immersed herself in things aquatic, cutting her teeth on Optis, Lasers, Hobie 16’s and 420 and some cruising on larger yachts. Her move to Great Britain found her racing larger yachts in the Solent and cruising across the British Channel. She enjoyed short stint in Singapore where she raced J-24s before moving to the SF Bay Area for additional education and later employment. Nat continued her sailing, crewing whenever possible on Olson 25’s, Olson 34’s and a couple Beneteau 40.7's. In 2006, Natalie had saved up enough to purchase her own vessel, the aforementioned Elise and had drawn up some grand plans and adventures for her. A couple months later she got the call. Natalie spent the majority of 2007 fighting” the Alien” as she calls it, too sick to sail, she insisted here crew campaign Elise regardless. She’s kinda selfless that way. After emerging from the cage match from hell, and evicting the Alien, she decide to take the offensive and launch her own campaign, one of education and fundraising to aide in sarcoma research and hopefully cure of this little known form of cancer. Beat Sarcoma was launched in 2007 and has held a number of events including the annual Sarcoma Cup, Which raised $18,500 in 2008, then nearly $30,000 in 2009. 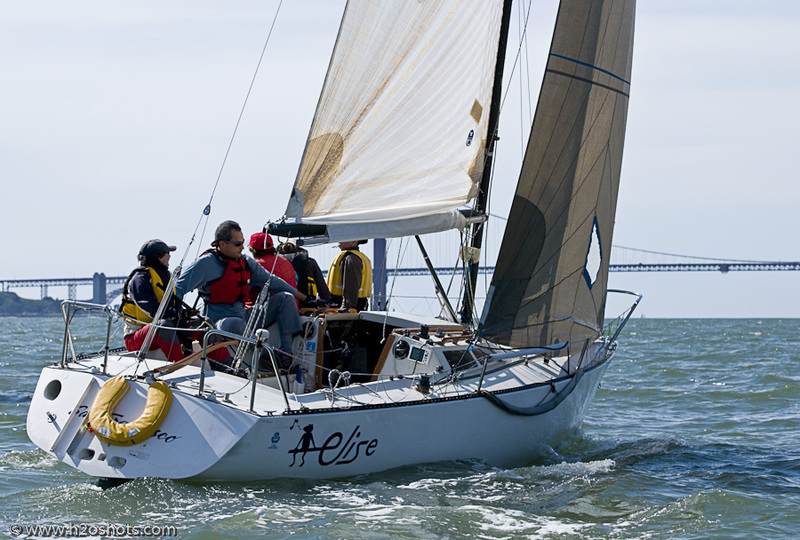 This years event is schedule for August 28th and 29th out of the Berkeley Yacht Club. It’s a great event and great fun for a great cause! Hop on lil froggie! Hop on! Last edited by Photoboy; 04-14-2010 at 09:09 AM.